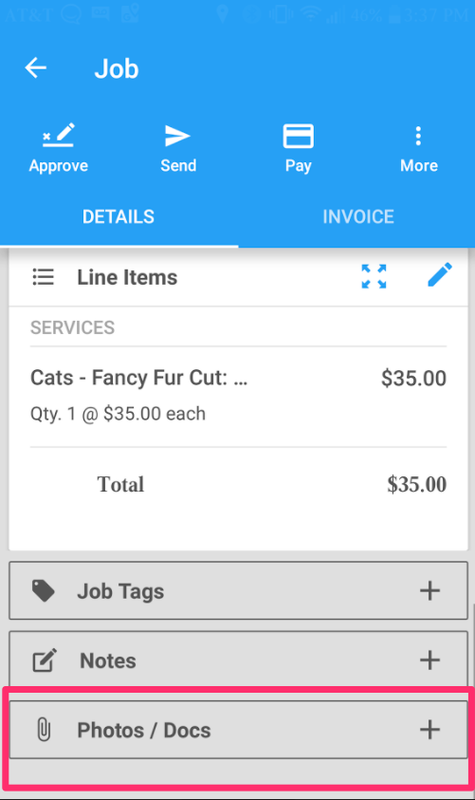 How do I add a photo to a job from my Android? Learn how to add an image in a few easy steps! 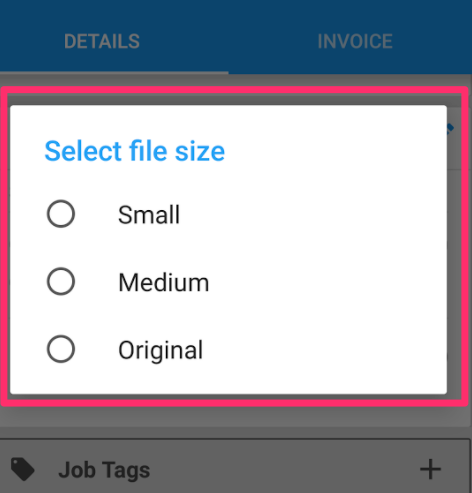 Go into the job, and at the bottom of the screen you'll click on "Photos/Docs"
Select "Capture new image" or "Select images." Selecting the image will then access your Gallery, where you can choose which image to upload. After capturing/selecting the image, select the file size. Image will then upload into the Photos/Docs section.